Though I sometimes sit at my Sunday open houses here in Philadelphia, I do so sometimes with a slight effect from being out with my friends from the previous (Saturday) night. I am tired, and sometimes sit in a chair for the entire duration of any given Open House. Thank goodness our Center City Sunday Open House shift only last an hour. I think I might go nuts otherwise. But there are a few things that brighten my morning, like showing up five minutes early to my (say) Rittenhouse Square condo Open House, and see potential buyers waiting for me. Or be blessed with sellers who have turned on every light, adjusted the thermostat appropriately, and even perhaps lit a candle in order to bring some life into the condo. Nothing kills the “likeability” of your Old City condo like 98 degree heat inside the unit I am about to introduce to perspective buyers. And kitty puke on the kitchen floor…eh, no. Ditto for doggie doo piles on the patio. And for heaven sake…make the bed. 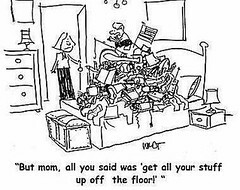 Clean the bathtub, and pick your crap up off the floor of the walk-in closet. NO POTENTIAL BUYER GROWS UP WANTING TO INHERIT YOUR LIFESTYLE, should your lifestyle be easily equated to that of say a 19 year old fraternity dude. Dude. And buyers, this blog entry is aimed at you too. Keep your dog at home, and don’t show up ten minutes AFTER my open house has ended, expecting a 25 minute tour. (Please, that is 🙂 ). And if you are just browsing, and saw the sign out front, give me some time with the “real” buyers who may have come specifically for this home. Your presence is welcome. Your monopolization of my time…perhaps not so much. So my conclusion is that sellers and buyers need to put on a good show to be taken seriously. And buying a condo in Philadelphia is a serious consideration, and a thought for which one should prepare. Put your best foot forward, and happy buying and selling! Center City Condo Owners: Have you seen this? Fairmont Park has a really neat addition which incorporates a link between Center City, and up Kelly Drive. 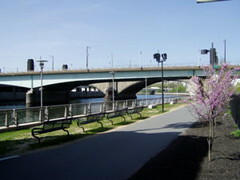 A jogging/biking/walking/roller blade trail which begins where Locust Street ends (at 25th Street) and runs past Philadelphia’s Fairmount WaterWorks along the Tidal section of the Schuylkill River, which they call Schuylkill Banks, up Kelly Drive, up to East Falls, and perhaps even beyond. From there I don’t know that section too well. But what a neat attraction for those who live in the area. Instead of jogging down the sidewalks of town, having to dodge traffic at every intersection, you now have the River trail that will allow you to see really neat stuff…like trees, grass, and people on bicycles. Cool. I am amazed every time I drive past and see the throngs of folks out exercising, and making great use of this trail. A wonderful way to get city dwellers out into the park, and a great way to make our fair city a more useful, enjoyable, and healthy one! 1) Make sure that the funds you have are either in the form of a certified check, or your funds have been wired into the title company’s account. No one is going to take your “3rd party, postdated, out-of-state” check. No one. AND…bring your ID. 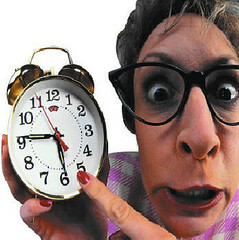 2) Plan on some type of delay. Either your mortgage company is not going to have the paperwork ready, or the interest rate you were quoted may be incorrect, or perhaps THEIR wire (your loan amount) has yet to be received by the closing (title) company. It may seem shocking that the people who practically beg for your business are so disorganized. But they usually are. Perhaps this would be a good time to resume sticking needles in a voodoo doll that resembles the seller. Kidding…do that on your own time. 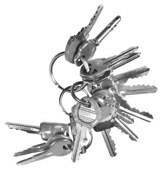 3) Ask the seller if anyone has another set of keys to your condo. Any other sets floating around? And does the management company (if applicable) have a set? They should. 4) Make sure you get a key to the mailbox, should you have an interior unit without a mail slot carved into your front door. Often overlooked. 5) While waiting for someone to do something that they previously forgot to do, why not take the time to call the gas and electric company that you will need to use. Usually can be done over the phone. 6) Now might also be a good time to gather info: How do I get my name programmed into the front intercom of the building (if applicable), what is the Mgmt. company’s contact number, and who is the contact? How will I receive my monthly condo dues bill? 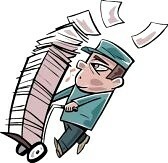 7) What should you do with all the paperwork given to you on your day of settlement? KEEP THEM HANDY. Do not lose. You will need to refer to this paperwork again, I guarantee you. Especially at tax time. 8) If you realtor did a good job for you, then brag about them to your friends and family in the future. See that others you care about, get the same good treatment. If your realtor was as valuable as say a bag of nails, then you will know who not to call in the future. If I was your realtor, and I could easily be compared to a bag of nails, then perhaps a good swift “thump” up the side of my head would be appropriate. 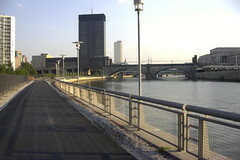 "For years, I’ve been hearing great things about this city of 1.4 million on the Delaware and Schuylkill Rivers. Newspaper articles speak of innovative development projects. Friends return from visits amazed that the nightlife is actually lively. "It’s no longer D.C. on a bad hair day," as one jokes. Philadelphia, I discover, comprises 152 distinct neighborhoods, ranging from working-class South Philly to yuppified Manayunk to ivied University City to up-and-coming Northern Liberties and Fishtown. But it is the Center City, the heart of downtown, that’s energizing the rebirth. Trendy restaurants and condominiums abound. A soon-to-be-completed Cesar Pelli skyscraper, the Cira Centre, just across the Schuylkill River, forms a daring twist in the cityscape. The striking Kimmel Center, with its digital-age design, is the new home of the Philadelphia Orchestra." Click here to continue reading the article. Then leave me a comment or drop me an email at Mark@CenterCityCondos.com and let me know what you think….Is Philadelphia the next great City? What Do You Think About A Virtual Doorman (TM of Virtual Service) for Your Center City Condo? Virtual Doorman (TM of Virtual Service) is the 21st century equivalent of the standard doorman. The system integrates all the responsibilites of a standard doorman into one, state-of-the-art system. The technology provides access control systems to regulate who can come in and out of your Center City Condo, video security so building activities can be monitored, fire and burlgar alarm monitoring so emergencies can be reported immediately, and interactive video monitoring. Residents and other individuals wishing to enter the building do so by using a card reader at any of the access doors. This interface is intuitive to anyone who as used an ATM. A neat feature about this is that individual doors can be set with different access privileges and cards can be allowed into the building dooring specified time intervals. This is great if, for example, a cleaning crew should only be allowed through the back door from 1pm to 3pm on a given day. Video monitoring is accomplished through the use of reliable, high-resolution cameras. Integrating mini, aesthetically placed indoor cameras and durable, all-weather outdoor cameras provides full building video monitoring. All captured video can easily be recorded on to a DVD in the event of a crime or other emergency. 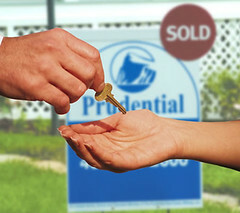 The intercom system allows a visitor to connect with a tenant from the supplied list of tenants. If, for any reason, the tenant is not home or unavailable, the visitor may interact with the Virtual Doorman (TM of Virtual Service) system. Once the tenant allows the visitor into the building via a button on their intercom in their room, they are able to follow the visitors progress to the room using the in-building cameras. The cameras are integrated into the intercom system. This service can be used in place of the traditional doorman service to eleiminate the operating cost of a 24-hour doorman, which could in turn lower your condo fees, while providing equivalent, or in many areas, improved levels or service and reliability. 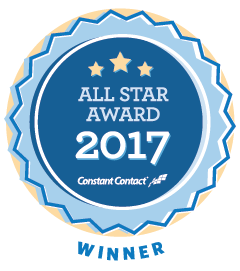 Leave a comment or drop me an email at Mark@CenterCityCondos.com and let me know your thoughts on this groovy new technology! Is Philadelphia Ripe for a Condotel? A condotel can be defined as a condominium building that looks and acts like a hotel. A hotel generally has one owner, as where a condotel is going to have as many different owners as there are units. Condo hotels are sold as second, third homes, but they are not typically sold as primary residences. In fact, many of them limit the unit owner’s usage of the unit because that unit is expected to be included in the hotel’s inventory of rentable units. As the owner of a condo hotel unit, you may place your unit into the hotel’s rental program where it will be maintained and rented out for you, just like any other room in the hotel. As owner, you receive a share of the revenue that the rental of your room generates. So it is kinda’ like being a mini hotel owner. You own just one unit, instead of a giant hotel. While there are many advantages (income from renting your unit out), there may be a heavy maintenance fee which can take a serious bite out of the potential for helping pay your mortgage. Is Center City Philadelphia ripe for such a project? With the continued growth in popularity of Philadelphia as a tourist destination, and the demand for upscale hotel rooms seemingly strong, I would suggest that such an offering might go over fairly well here in our fair town. It is indeed an option for those looking to invest their money somewhere, as uncertainty in the stock market does give some investors pause. This idea might be great for someone looking to diversify their holdings, who might want have say a son or daughter here in school, whom they might want to visit on occasion. We certainly have a large number of teaching hospitals and higher education opportunities in town. I get a lot of traffic on my site from potential buyers looking for a few day stay in town, every blue moon. Be it for visiting friends and family, or to reestablish roots where they once lived, or just as an “every now and then” place to visit, I think Center City Philadelphia would be an excellent location for a condominium-hotel-aka-“Condotel”.